Arts Professional UK had a great piece on developing a customer relationship management strategy (CRM). It is chock full of great resources including case studies, guides on how to choose a ticketing system and analyzing the costs of a ticketing system. It got me thinking about approaching Drew McManus about employing his web expertise to write something similar in the context of U.S. arts organizations for the ArtsHacker site. A lot of the materials from that site appear to absolutely be useful for U.S. non-profits so take a look. The thing that really caught my eye though was that customer relationship management (CRM) was first coined in 1995 and a lot of arts organizations are just starting to think along these lines nearly 25 years later. Although technology is really what makes it possible to cross reference and analyze information in an effective amount of time, the heart of CRM is an organization wide investment in using the information to inform interactions with customers. In other words, it doesn’t matter how sophisticated and informative the analysis produced by a CRM system if staff isn’t using it in decision making and conversations with customers. Sure, that is all well and good to say, but cost is pretty much the big factor and this sort of data processing capacity doesn’t come cheap, right? 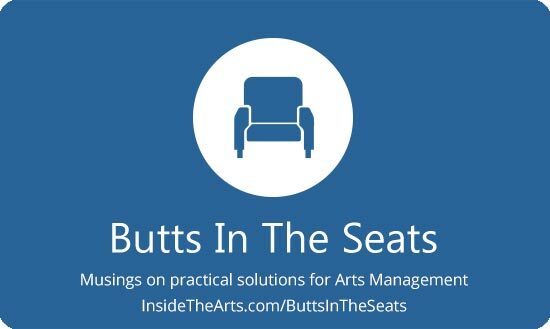 Cost is often highest in the minds of many arts organisations when considering an appropriate CRM/ticketing system, but there quite simply isn’t an inexpensive system that will offer the necessary functionality. What’s It Say When Washington Post Critic Say Arts Need To Work Harder At Relevance? CRM is NOT a product, its a mindset! And if you can’t get that mindset into your organsation, no software and no amount of money will help. Buyin is essentiell, from the top AND from everybody else.